The Pasifika Womens Alliance invites you to join in celebrating Multicultural Day in true Pasifika style! Watch this space for more details on our upcoming Multicultural Day Celebration. Thankyou for your continued support of the work that our PWA ladies are doing in our community. Bring your friends, your family…bring everyone to come and celebrate the cultural diversity of this nation with our amazing PWA ladies and guests. 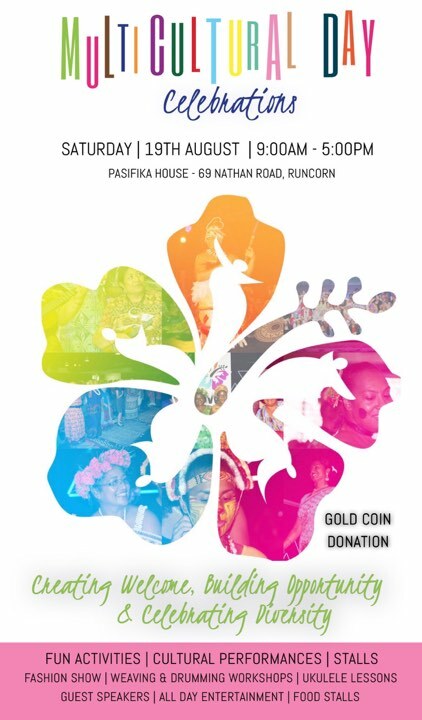 We ask that all attendees bring a GOLD COIN DONATION to support our Pasifika Women’s Alliance. Previous Post PWA Fundraiser – Only 1 day left to place your orders!